What is in the Incubator!?! Come Visit Us At The Portland Metro Reptile Expo Saturday, August 20th!!!! Welcome to The Dragonz Den! Our family has a shared passion for the reptile world. We have owned many types & have grown a knowledge & husbandry that is almost 20 years in the making. In 2008 we started breeding bearded dragons & have since added veiled chameleons, leopard geckos & crested geckos to our adventures. It is our greatest joy to share this wonderful hobby with so many & help educate people along the way. 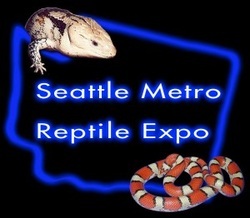 The Dragonz Den @ the Seattle Metro Reptile Expo April 28, 2012! Our Tables @ the Portland Metro Reptile Expo August 18, 2012!